Copyright Â© ERYICA 2017. All rights reserved. dear reader You are holding ERYICA´s Activity Report from 2016. I hope we are able to give you a good overview of what ERYICA has done in cooperation with our members over the past year at European, national and local level to ensure young people have access to quality information. 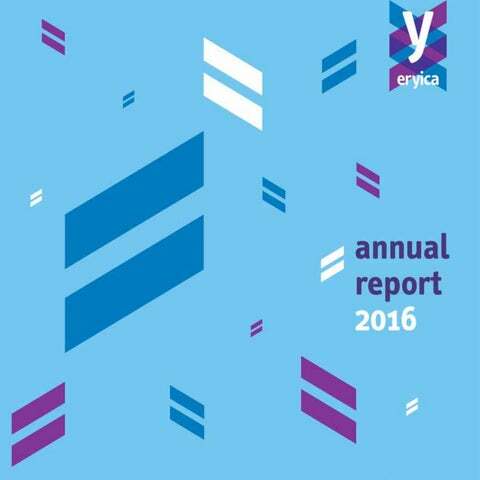 Our report shows that there has been an incredible amount of empowering and inclusive activities organised by ERYICA together with different stakeholders and with young people. Thank you for that! The work we are doing has a significant impact on young people’s future. We take very seriously what is going on in young people´s lives today. Our world is constantly changing, we come across new challenges all the time. This is why our role in educating and guiding young people to find and use quality information is more important than ever. Youth information and counselling services are truly needed! The Committee of Ministers has been adopted the Recommendation CM/Rec(2016)7 of the Committee of Ministers to member states on young people’s access to rights. The Recommendation highlights necessity of young people’s access to rights, and for youth organisations and youth workers to know about these rights. Working with other youth information networks at all levels has been essential. I am particularly happy about the cooperation and the good relationship with Eurodesk and the European Youth Card Association (EYCA). The Presidents and Directors signed a Memorandum of Understanding, in the presence of a representative from the European Commission. We also agreed to publish a common position paper titled Engage. Inform. Empower – Recommendations from the main European Youth Information and Mobility networks on the new EU Youth Strategy. This document sends out a strong message about how we see youth information and mobility as a crucial part of young people´s lives. Please share and use it! My role as the President of ERYICA is to listen to the voices of our members. How do you as an information specialist see the future of youth information and what kind of services are needed to improve the quality of youth information services, and your skills and competences? What are the services our members need the most? Last year we started one of the most challenging training projects we have ever had: DOYIT - Developing Online Youth Information Trainings. The goal of this project is to exploit innovations in training methodologies and tools, especially e-learning platforms and methods, in order to increase the accessibility of ERYICA trainings for youth information workers and youth workers from the network. The work will continue until 2018, but we have already gained some good results. One of the main highlights in 2016 was ERYICA’s 30th Anniversary. The main event took place in Helsinki during the 27th General Assembly. It was an absolute and rare pleasure to host both this event and the seminar Challenges and Opportunities of Youth Information and Counselling in a Digital Era with my colleagues from Koordinaatti and ERYICA. Although ERYICA has already come so far, it is crucial that we view our goals and role as a European organisation with fresh eyes as well. We must be flexible when it comes to new trends, but also pioneers. I wish to thank all our members for being active and participating in activities and projects that we carried out last year. I want to also thank the previous Board and President Sanja Vuković-Čović for the great work you did in 2016; it was easy for me to pick up where you left off and continue the work with the new Board. Lastly, I would like to thank the Secretariat, who have done an amazing job in supporting our work in a very professional way. Keep up the good work! about... …Youth Information The ever-growing array of information that young people have access to today through different media outlets has the potential to be misleading and harmful for those who are not skilled enough to sift through the deluge of data available, or do not have access to objective sources of information in the first place. Youth information builds on the fact that it is not possible to make a sound decision or to participate in society without being informed about one’s options, opportunities, and rights. Generalist youth information aims to support young people in their transition from childhood to adulthood by giving them access to the necessary information concerning their options and opportunities, and by helping them evaluate and judge the information through various forms of intervention. Based on a user-centred approach, youth information seeks to cover all subjects that are of relevance to young people and enable them to make their own properly informed decisions. In this context, youth information and counselling services provide young people with guidance and support, which will help them lead their choices constructively, develop critical thinking and enhance their autonomous decision-making. In a post-truth era, where modern propaganda and conspiracy theories are fed by populism, fake news, hate speech and “alternative facts”, a critical approach to information has become even more essential. Young people are not only information users; they also play a key role in creating and disseminating information. Therefore, there is an urgent need to enhance their ability to challenge the information they have access to and to provide them with the necessary skills to produce and disseminate information in an accurate and responsible manner. Without the appropriate skills and competences, young people can be easily misled and negatively influenced in their life choices, opinion formulation, and the ability to exercise their active citizenship and rights. Respect for democracy, human rights and fundamental freedoms imply the right of all young people to have access to complete, objective, understandable and reliable information. Years of receiving questions and giving answers in a professional manner show that young people do need assistance in understanding how society works to make informed decisions that will shape their future. Youth information aims, among others, to: •	provide reliable, accurate and understandable information; •	give access to different sources and channels of information; •	give an overview of the options and possibilities available on all relevant topics; •	help young people sift through the information overload they face today; •	ensure that young people are aware of all the rights and services available to them and that they know how to access them, provide support in evaluating the information obtained and in identifying quality information; •	guide young people in reaching their own decisions and in finding the best options open to them; •	offer different channels of communication and dialogue in order to directly support young people in their search for information and knowledge; and •	contribute to the information literacy of young people. 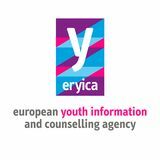 The European Youth Information and Counselling Agency (ERYICA) is an independent European organisation, composed of national and regional youth information co-ordination bodies and networks. It works to intensify European and international co-operation in the field of youth information work and services. It develops, supports and promotes quality generalist youth information policy and practice at all levels, in order to meet the information needs of young people and to apply the principles of the European Youth Information Charter. ERYICA aims to uphold the right of young people to full and reliable information, which helps them make the choices they face in their lives, and which promotes their autonomy, ability to think critically, and active participation in society. ERYICA is an international non-governmental, non-profit association, established on 17 April 1986 in Madrid, Spain. ERYICA is registered in the Grand-Duchy of Luxemburg, in accordance with the 1928 Luxemburg law on associations. In 2016, our network consisted of 24 Members, 6 Affiliated organisations and 4 Co-operating organisations in 27 countries. the eryica framework ERYICAâ&#x20AC;&#x2122;s core framework documents are the European Youth Information Charter, adopted by the ERYICA General Assembly in 2004, and the Principles for Online Youth Information, adopted by the ERYICA General Assembly in 2009. They have been complemented by the Quality Management in Youth Information and Counselling â&#x20AC;&#x201C; A Competency Development Framework in 2014. Making the definition of each annual Work Programme simpler and ensuring that it following the strategy; Facilitating the design, implementation, and monitoring of activities and projects; and Simplifying the preparation of measurable and comparable Activity Reports. Therefore, ERYICA’s Strategic Plan does not only identify the priorities of the Agency, but it also guides the initiatives described in each annual Work Programme, which constitute the basis of the Activity Reports during this period. The present Activity Report is organised according to the Plan’s Strategic Directions, and presents the activities and projects developed in 2016 in line with this structure. Jimmy •	Kajaani, Finland, 13 and 25 May 2016 •	Kauhajoki, Finland 27 October and 10 November 2016 YoMIM •	Varkaus, Finland, 25 April and 9 May 2016 •	Tallinn, Estonia, 5-9 December 2016 These training courses were organised mainly by ERYICA members, who are free to initiate trainings, access the material and cooperate with the trainers’ pool. To a smaller extent, certain courses were organised by the ERYICA Secretariat. Further fields of activities under this Strategic Direction included: •	Development of innovative training methods and topics, and staff mobility activities; •	Development and update of training material and courses; •	Strengthening the network of ERYICA trainers through the organisation of a trainers’ meeting; •	Promotion of the existing training material throughout the network and in countries willing to establish youth information and counselling services and where ERYICA has no representation; and •	Development of contacts with the formal education sector and other youth-related sectors in view of setting up common trainings and projects. Projects DOYIT: Development of Online Youth Information Trainings â&#x20AC;&#x201C; Erasmus+ Duration: 03/10/2016 â&#x20AC;&#x201C; 02/10/2018 Coordination: ERYICA Partners: Austrian Youth Information Centres (AT), Zajednica ICM (HR), Egomind (EE), Koordinaatti (FI), Humak (FI), Youth Work Ireland (IE), Creativitas (LT), ERYICA (LU), IPDJ (PT), Catalan Youth Agency (ES) Aims: The overarching goal of this project is to exploit innovations in training methodologies and tools, especially e-learning methods and virtual cooperation, in order to increase the access of youth information workers and youth workers to ERYICA trainings. The ultimate goal will be to strengthen and promote the provision of quality youth information and counselling in Europe through better-trained professionals. The 2-year initiative will adapt 4 training courses (YoMIM, Digital YIntro, Jimmy, ALTYO) to an online webinar platform, thereby increasing their outreach and decreasing the cost of training activities. The project aims to familiarise youth information workers, youth workers and trainers with new training and learning methodologies, using an online setting. It also aims to define quality assessment tools and evaluation methodology for online courses in the youth work sector, and use the ERYICA Quality Management Catalogue to further increase the quality level of youth information and counselling services. Outcomes: The project was launched in October 2016 and two meetings of the consortium took place in that year, hosted by ERYICA in Luxembourg and the Catalan Youth Agency in Barcelona, in order to kick off the numerous activities of the project. Youth Information Trainers’ Seminar – Erasmus+ Duration: 03/05/2016 – 06/05/2016 Coordination: ERYICA Host: Zajednica ICM, Croatia Venue: Zagreb Partners: Koordinaatti (FI), ENTK (EE), Zajednica ICM (HR), Jong en Van Zin (BE), YMCA Wales Community College (UK), For Youth (LT), CIJ (LU), ERYICA (LU) and MISSS (SI) Aims: The main aims of the second Trainers’ Seminar were to reinforce the ERYICA trainers’ community, exchange methods and knowledge between trainers, discuss strategies and methods of updating the content of our training programmes and explore the possibilities of increasing training outreach through webinars and e-learning methodologies. Outcomes: 24 participants gathered in Zagreb to work on the quality of training programmes, discuss the pedagogical value of training courses, continuous professional development and identify further ways of networking. Participants also created new session methodologies for some existing training courses. Guidelines for ERYICA trainers and hosting organsiations have been developed as a result of this event. strategic direction 2: Research and Innovation The effects of social and economic change on young people have a clear impact on the work of youth information and counselling professionals. This stresses the necessity to understand the ways in which theories of youth underpin youth policy implementation and youth work. In addition, the introduction of innovative ICT tools popular among young people is changing the nature and channels used to provide youth information and counselling services. Thus, youth information workers need to be aware of and familiar with new trends and technologies that influence and shape the sector. Activities Support the development of innovative services and the use of new ICT tools in order to meet the needs of young people The Developing Online Youth Information Trainings (DOYIT) project has been launched (read more in Strategic Direction 1, Projects). In addition, a new edition of the SHEryica booklet on Good Practices was prepared at the end of 2016 (read more in Strategic Direction 3, Activities). Collaboration with the Pool of European Youth Researchers (EU-CoE Youth Partnership) ERYICA is a member of the European Platform on Learning Mobility (EPLM), which aims to create a participatory space for exchange and cooperation between practitioners, researchers and policy makers. Read more under Strategic Direction 4. Further activities under this Strategic Direction included: •	Organisation of an Open Dialogue Day on Mobility with researchers and stakeholders in the field in connection with the MOVE project; •	Identification of researchers on youth policy through dialogue with research institutes and higher education institutions; •	Dissemination of research results and publications among the members throughout the network’s channels; and •	Participation in research projects and project proposals dealing with youth policy and addressing the Strategic Directions and Thematic Priorities of ERYICA, especially under Horizon 2020. Projects Mapping mobility – pathways, institutions and structural effects of youth mobility in Europe (MOVE) – Horizon 2020 Duration: 01/05/2015-01/05/2018 Coordination: University of Luxembourg Partners: ERYICA, Universitat Hildesheim (DE), Deutsches Jugendinstitut, Academia (DE), De Studii Economice Din Bucuresti (RO), University of Miskols (HU), Hogskulen i Sogn og Fjordane (NO), Ilustre Colegio Nacional de Doctores y Licenciados en Ciencias Politicas y Sociologia (ES), European Research and Project Office (DE). Aims: Providing a research-informed contribution towards an improvement of the conditions of the mobility of young people in Europe and a reduction of the negative impacts of mobility through the identification of ways of good practice thus fostering sustainable development and wellbeing. The main research question is: How can the mobility of young people be ‘good’ both for socio-economic development and for individual development of young people, and what are the factors that foster/hinder such beneficial mobility? Six types of mobility addressed in this research: higher education, voluntary work, employment, vocational training, pupil’s exchange and entrepreneurship. Outcomes: ERYICA participated at the second national expert group meeting in Luxembourg, and continued with the dissemination activities throughout 2016 at events held by stakeholders. ERYICA started the organisation of an Open Dialogue Day on youth mobility and youth transitions, inviting stakeholders from different sectors working at European level (such as the EU-CoE Youth Partnership, UNICA, Eurodesk, the Lifelong Learning Platform, the European Youth Card Association, the European Parliament Committee on Culture and Education, DG Research and Innovation European Commission, CSR Europe) to discuss the results of the MOVE project so far. There will be 2 more workshops organised in 2017/2018. strategic direction 3: Participation and Empowerment Engaging youth in decision-making is essential to their overall development and to ensure stable value-based and democratic societies. The concepts of ‘participation’ and ‘empowerment’ in the youth information and counselling context imply giving young people more control over their personal development and decisions. The extended use of innovative ICT tools among young people opens up interesting opportunities for increasing the participation of youth in decisionmaking processes. Activities Contribution to the activities related to the EUth consortium See EUth in Projects. Development of a training kit / course on participation in connection with the EUth project See EUth in Projects. Participation in the BePart Summit: Berlin, Germany, 14-16 November 2016 A continuation of last year’s project, the BePart summit gathered youth workers with participation experts, software developers and user organisations in order to strengthen European-wide cooperation in the field of digital participation. Participants voiced their concerns and the obstacles facing eParticipation, and also proposed solutions. Collection of projects and training material on participation and empowerment from the network and publication of a SHEryica Good Practice Booklet As in previous editions, the Good Practice in Youth Information booklet showcases good practices in the ERYICA network, collecting outstanding examples of projects regarding their quality, innovative potential and their demonstrated successful outcomes. The good practices featured in the booklet represent the actual trends and developments in youth information practice across Europe. The booklet aims at inspiring youth information workers by highlighting new ideas and successful execution, while hoping to give recognition to these achievements on European level. The electronic version of the publication is available for download at www.eryica.org. Participation in the No Hate Speech Movement meetings and support of the campaign launched by the Council of Europe ERYICA is a partner and a proud supporter of the No Hate Speech Movement. The Agency is represented in the Followup Group of the Movement. News and developments were regularly published on our website, social media groups and newsletters, while direct communication to Members encouraged their participation in different actions. (Read more under Strategic Direction 4 – Council of Europe). Promotion of the Kit on Access to Rights Both in the framework of the cooperation between the Council of Europe and ERYICA and at other events, numerous occasions provided space for the promotion of the kit on young people’s access to rights. (Read more under Strategic Direction 4 – Council of Europe). Involvement of young people in the governance of the agency The new group of Youth Ambassadors (see section below) have further opportunities to engage in the activities of ERYICA. These include participation in professional development processes in order to ensure that the outcomes of our work meet the needs of young people (e.g. within projects), as well as opportunities for participation in events, such as the EU Youth Conference or the Open Dialogue on Mobility. Organisation of a Youth Ambassadors Training The third Young Ambassadors for Youth Information training took place in Ljubljana, Slovenia, with the involvement of 12 project partners. MISSS hosted the event on the dates of 7-11 September 2016. ERYICA can now count on 22 â&#x20AC;&#x153;freshmen/womenâ&#x20AC;? Youth Ambassadors, some of whom are interested in taking action in the framework of the No Hate Speech Movement as well. A call was launched in the group to disseminate the Recommendations of the Slovak Youth Conference among their peers and decision makers. The winners of this initiative, the two Youth Ambassadors from Ireland, were selected to participate in the EU Youth Conference in Malta in March 2017, by the kind invitation of Agenzija Zghazagh. The event was very successful, with an interested and active group of young people. Projects Tools and Tips for Digital and Mobile Youth Participation in and across Europe (EUth) – Horizon 2020 Duration: 01/05/2015-01/05/2018 Coordination: Nexus - Institute for Cooperation Management and Interdisciplinary Research Partners: 11 partners from 8 European countries including IJAB. Aims: EUth will build a digital European youth participation platform to be tested and put at the service of administrations and youth organisations of any size and level to set up participative processes. EUth aims to increase the trust of European youth in Europe and political institutions by making European youth participation more attractive for all involved actors, and thus make it happen more frequently. Outcomes: In the course of 2016, ERYICA played a key role in the dissemination of the project and in the organisation of an Open Call for municipalities and youth organisations to implement independent participation strategies in the testing phase. ERYICA promoted this Open Call at various events all over Europe throughout 2016. These included at events such as the EU Youth Conference, a conference run by DYPALL Network of European municipalities and youth organisations to promote local youth participation, other events held by our stakeholders such as the Eurodesk General Assembly, and at ERYICA trainings. In spring 2016, the project launched the first version of its youth e-Participation toolbox “OPIN”. It combines a multilingual online-platform with a mobile application and offers a wide range of assistance for initiators of youth e-Participation projects, both in terms of software and support. ERYICA prepared and conducted the Open Call and the selection procedure for the 10 pilot projects that will be implemented in the course of 2017. Two of these pilot projects are run by ERYICA Members, Aġenzija Żgħażagħ in Malta and the Youth Board of Cyprus. Kick-off meeting with ERYICA experts to plan and define all the project activities, objectives, and outcomes. The meeting took place in the premises of CIDJ on 15 April 2016 in Paris with the participation of 9 colleagues from French-speaking ERYICA Members and the Secretariat. An additional meeting to prepare the Open Dialogue day took place on 23 May in Brussels. Open Dialogue Day involving youth workers, youth information workers, educators, researchers and experts in youth violent extremism, policy-makers, youth organisations; and other relevant stakeholders. The event took place over two days. On 21 June 2016, 34 participants coming from diverse backgrounds and levels; civil society, scientific community, policy makers (at European, national, regional and local level), affected parents and media, aimed at understanding the process of violent extremism better and analysing its roots and consequences, both at micro and macro levels. The second day was devoted to analysing the information obtained the previous day and to feed it into the preparation of the reference manual. The structure of the manual was defined and the task distribution and timeline were set up. Reference manual, entitled Liaisons, aiming to define educational tools and information resources able to support youth workers, youth information workers, educators and youth organisations in understanding and addressing youth violent extremism. The above-described events created a solid content base that serves the development of the reference manual, which will be completed by September 2017. The contribution of numerous experts from various fields will contribute to the creation of a manual that takes the approach and experience of diverse areas in the service of preventing violent extremism. Promotion of the reference manual on the prevention of youth violent extremism, the Info Rights Kit and the Compendium on Youth Information and Counselling, produced in the framework of the partnership between the Council of Europe and ERYICA. The promotion of the named publications has been achieved through a number of meetings in countries that are among the target group of the publication. Partnership between the EU and the Council of Europe in the Field of Youth European Platform on Learning Mobility meetings ERYICA is a member of the European Platform on Learning Mobility (EPLM), which aims to create a participatory space for exchange and cooperation between practitioners, researchers and policy makers. The Agency also participates in its Steering Group meetings. The following Steering Group meetings took place in 2016: •	Paris, France, 30 June - 1 July; •	Bonn, Germany on 17-18 November. Stakeholders 3 networks collaboration The Presidents and Directors of Eurodesk, the European Youth Card Association (EYCA) and ERYICA met in Brussels on 11 September to sign a Memorandum of Understanding, in the presence of a representative of the European Commission. The three networks also issued a common position paper entitled Engage, Inform, Empower â&#x20AC;&#x201C; Recommendations from the main European youth information and mobility networks on the new EU Youth Strategy. The document puts forward the recommendations on the three networks concerning their field of expertise. The position paper was presented at the European Commission on 20 September 2016. The three networks also launched a joint project proposal, entitled Reach More Young People, with the objective of addressing the need of youth information and youth work services in optimising their promotion strategies and establishing efficient communication tools to make their services attractive to young people. The project will take place in 2017. Further activities with stakeholders included cooperation with the European Youth Forum. In the course of 2016, ERYICA has also established contacts with new stakeholders, such as the International Observatory for Juvenile Justice (OIJJ), the European Forum for Urban Security (EFUS), Foundation for European Progressive Studies (FEPS think-tank) or the Tony Blair Faith Foundation. ERYICA also had the opportunity to network with representatives from the business sector, i.e. Google, ENGIE, CSR Europe and Tata Consultancy Services. Elevator pitch on Members’ projects and good practice from the network. The 27th General Assembly convened 39 participants from 18 countries. Staff In 2016, the ERYICA Secretariat consisted of the following staff members: Eva Reina Director Imre Simon Members’ Services Manager Sophie Malu Mukendi Project Manager (from 1 February till 31 July 2016) Jessica Walker Project Manager (from 19 September 2016) Aurélie Lebreton Accountant (part-time) Internships at ERYICA Interns under the Erasmus Placement Programme continue forming an integral part of the ERYICA Team. Besides reinforcing ERYICA’s European identity and ensuring the involvement of young people in our everyday activities, the placement provides an opportunity for the trainees to get to know more about youth information and counselling services and at the same time gather work experience. Marta Fuentes Labrador from Spain and Kyriaki Fotiadou from Greece supported the activities of the Secretariat in 2016. Communication & Public Relations Communications Strategy The 27th General Assembly established a working group on communication, which examined a draft communication strategy prepared in early 2016 and made further proposals. The group held a meeting in Luxembourg on 13-14 October 2016 and revised various aspects of the draft strategy, such as the content of ERYICA’ s communication, the target groups and communication channels, as well as the planned new brochure of the organisation and the members’ survey. The group concluded their meeting by issuing recommendations that will be implemented in the course of 2017. SHEryica By the end of 2016, SHEryica, the online platform for Youth Information workers, counted 605 registered members, a 5% increase on a year earlier. These youth information professionals come from 37 countries and 291 Youth Information Centres. There were 26 stories shared on the platform over the year. Social Media ERYICA’s social media interfaces continued their success in 2016. The Facebook page accumulated 2.774 fans through a 30% increase within one year, making it the third year of intensively growing popularity. Our posts were read 116.000 times, 13% more than the year before. Just like SHEryica itself, the Facebook page of the platform can showcase a slower growth too: the number of page likes increased from 472 to 494 during the year, while the 26 stories reached out to 3285 people. Linking the Facebook and Twitter accounts of the organisation proved to be a good strategy. ERYICA’s Twitter account has 868 followers signifying a 60% increase within a year. SHEryica stories are also posted on Twitter and 206 followers receive notifications about them, 11% more than a year ago. Liaison desk in Brussels Since November 2015, ERYICA has a liaison desk at the premises of our Belgian Member Organisation, De Ambrassade, in order to ensure more frequent and accentual representation in the European capital and to be closer to our stakeholders. The arrangement also means access to meeting rooms, that all Member Organisations of ERYICA can benefit from, following prior consultation for availability with the Secretariat. In 2016 the Brussels representation hosted for example the Open Dialogue Day on the prevention of youth violent extremism, EUth project meetings, preparatory meetings for Horizon 2020 proposals and the project Reaching More Young People, executed in partnership with EYCA and Eurodesk in 2017. European Youth Information Day The 17th of April traditionally gives space to the activities of the European Youth Information Day, promoting youth information and counselling. The pop-up campaign of 2016 was linked to the 30th anniversary of ERYICA and invited young people and youth information workers to inspire each other with success stories and best memories made possible by youth information or ERYICA. The slogan of the initiative was Youth Information Inspires Youth. Contributors were invited to answer the question â&#x20AC;&#x153;How did youth information inspire youth?â&#x20AC;? and choose a format (picture, video, text, draw or else) that illustrates that moment. Contributions were posted on social media with the hashtag #eryica30 and a selection was presented at the General Assembly. Apart from this initiative, Youth Information Centres traditionally organise activities with young people on this day and benefit from the promotion and visibility opportunity it represents. membership By the end of 2016, ERYICAâ&#x20AC;&#x2122;s membership counted 24 Members, 6 Affiliated organisations and 4 Cooperating organisations in 27 countries. ERYICA at a Glance December 2016: The fourth edition of the Good Practice in Youth Information booklet is edited. October 2016: The development of eLearning courses begin in the framework of the DOYIT project. September 2016: ERYICA signs a Memorandum of Understanding with EYCA and Eurodesk and publishes a common position paper. September 2016: Adoption of Council of Europe Recommendation CM/ Rec(2016)7 on young people’s access to rights. April 2016: ERYICA celebrates its 30th anniversary and organises a European seminar on youth information in the digital era in Helsinki in cooperation with Koordinaatti. December 2015: The outreach of the ERYICA Facebook account exceeds 100.000 in one year. A Regional Seminar on Youth Information and Counselling is held in Georgia. November 2015: ERYICA has a liaison desk in Brussels. May 2015: The first two Horizon 2020 projects start with the participation of ERYICA. December 2014: The third edition of the Good Practice in Youth Information booklet is published. June 2014: The Summer University on Youth Information and Counselling brings together 120 participants from 19 countries. March 2014: ERYICA publishes the Compendium on National Youth Information and Counselling Structures and the handbook Young People’s Access to Rights through Youth Information and Counselling in cooperation with the Council of Europe. December 2013: The Youth Information Starter Kit is available in 7 languages. September 2013: An ERYICA video opens the EU Youth Conference in Vilnius, Lithuania. June 2013: The Symposium on Youth Policy in South East Europe: the role of information and counselling takes place in Zagreb, Croatia. February 2013: ERYICA launches the Youth on the Move – InfoMobility (YoMIM) project, the goal of which is to innovate and enhance youth work in the field of mobility. July 2012: Pilot of the 5th youth information training course of the ERYICA training system, the Advanced YIntro. April 2012: Launch of the Information Right Now! Campaign in partnership with the Council of Europe. June 2011: Publishing of Guide to Safety and Quality online. April 2011: 25th Anniversary Celebration of ERYICA in Opatija, Croatia. February 2011: Launch of JIMMY, the Youth Information Mediator project. September 2010: Colloquy “Bridging the Gap” organised with support of the Council of Europe in Budapest, Hungary, European Youth Centre. June 2010: Launch of Council of Europe Recommendation CM/Rec(2010)8 on Youth Information. December 2009: ERYICA launches SHERYICA, the Interactive Platform for Youth Information workers and adopts the Principles for Online Youth Information. January 2009: Launch of the “A Better Youth Information for New Times” project. December 2008: Launch of ERYICA’s first project Meet the Street. April 2008: ERYICA inaugurates the European Youth Information Day, on April 17th. November 2007: ERYICA together with the Council of Europe organises a colloquy on the Future of Youth Information in Europe in Budapest, Hungary. July 2007: ERYICA office moves to Luxembourg. April 2006: ERYICA celebrates its 20th anniversary and organises a European seminar on Youth Participation together with Eurodesk and EYCA in Vienna. November 2005: Policy statement on “Indicators for a National Youth Information Policy” is adopted in Ljubljana, Slovenia. September 2005: ERYICA organises the European Seminar on “Quality Matters in Information for Young People” together with Eurodesk and EYCA in Paris. November 2004: Updated version of the “European Youth Information Charter” is adopted in Bratislava. December 2001: ERYICA releases the Minimum Basic Training Course (MBTC) module for its training of Youth Information workers. November 2000: First ERYICA Governing Board is established. July 1999: ERYICA publishes its first study on “Generalist Youth Information in Europe in 1997”. December 1998: ERYICA launches the online version of Infomobil. April 1997: Council of Europe signs a Partnership Agreement with ERYICA. April 1994: ERYICA registers as a non-profit making association in Luxembourg. December 1993: 4th ERYICA General Assembly in Bratislava, Slovakia adopts the European Youth Information Charter. May 1991: ERYICA publishes the “European Directory of Youth Information Centres”: 471 centres in 18 countries. February 1990: Committee of Ministers (Council of Europe) adopt Recommendation 90/7 on “Information and Counselling to be Provided to Young People in Europe”. May 1988: 1st ERYICA General Assembly (Pomezia, Italy). August 1987: ERYICA registers as a non-profit-making association in Amsterdam. June 1987: ERYICA launches first “Guides for Young Visitors”, booklets containing practical information about European countries to promote youth mobility. December 1986: 12 organisations in 8 countries constitute ERYICA’s initial partners. April 1986: Founding of ERYICA in Madrid, Spain as the result of a constitutive Meeting. April 1985: European Colloquium (Marly-le-Roi, France) recommends the creation of a framework for European cooperation in the field of “generalist” Youth Information and counselling.